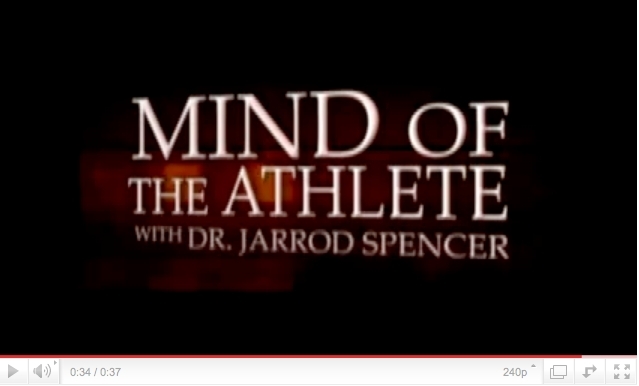 Let Dr. Jarrod Help with Mental Toughness! The NHSCA is offering coaches and administrators an opportunity to educate all the athletes at their school by sharing the Mind of the Athlete Program. 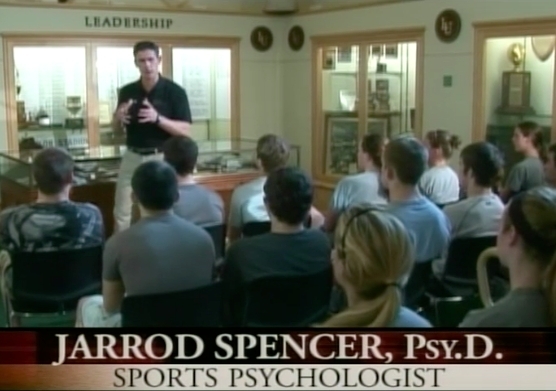 Sports Psychologist, Dr. Jarrod Spencer, has developed an outstanding comprehensive program that will equip your athletes with the mental skills that will help them maximize their athletic performance. It is non-negotiable in athletics today that we must better develop the 6 inches between an athlete’s ears. We need to teach them the skills to better regulate their emotions, perform well under pressure, and exercise improved judgment on and off the field. Sports Psychology has been cost prohibitive to most athletic programs. Yet, the greatest frustrations in sports often come from the mind. 16 Sports Psychology videos, 16 Worksheets for each video, 10 Sports Psychology CDs -- all on 1 Flash Drive (a time efficient, plug and play program). The cost for the entire program is $1,000 which gives every coach, athlete, and staff member at your school the license to use the program. The program can be used on a computer or mobile device. Please click here to view a 1 ½ minute promo video. Order today to meet your budget deadline by clicking here. For additional information on The Mind of the Athlete Program contact Mattie. All of your videos and documents arrive via Thumb drive. Click Here for an example of what your e-mail would look like.